Gen. John Kelly, DHS chief. The United States is plotting an ambitious attempt to shore up Central America, with the administration of President Donald Trump pressing Mexico to do more to stem the flow of migrants fleeing violence and poverty in the region, U.S. and Mexican officials say. 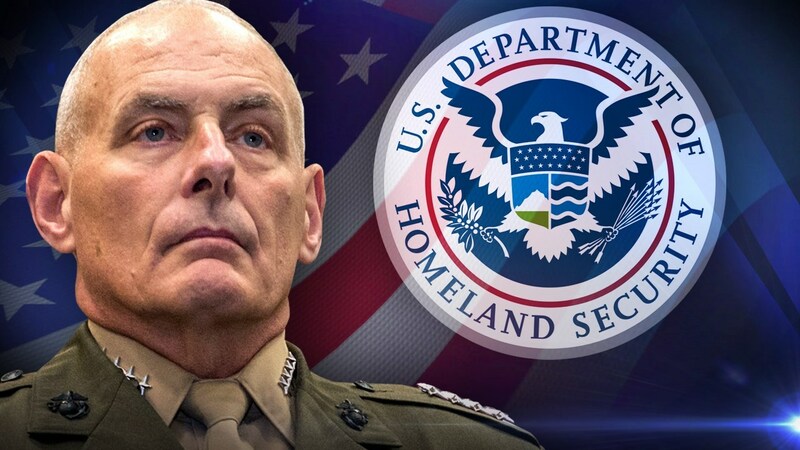 Reuters reports the U.S. vision is being shaped by Department of Homeland Security (DHS) Secretary John Kelly, who was due to give a speech about his goals for Central America in Washington on Thursday May 4. Kelly, who knows Honduras, Guatemala and El Salvador well from his time as chief of the U.S. Southern Command, helped the administration of former President Barack Obama design his Alliance for Prosperity. That $750-million initiative sought to curtail Central American migration through development projects as well as law-and-order funding to crack down on the region’s dominant gangs. Kelly aims to re-tool the Obama-era alliance without a large increase in American funding by pressing Mexico to shoulder more responsibility for governance and security in Central America, and by drumming up fresh private investment for the region, U.S. and Mexican diplomats say. “What we’re going to see is … greater engagement directly between the Central Americans and Mexican government … (and) a more intense effort to integrate the economic side of this effort with the security side,” William Brownfield, the U.S. assistant secretary for International Narcotics and Law Enforcement Affairs, told Reuters. The reshaped alliance stands in contrast to some of the isolationist views jostling for power in the White House. Still it’s consistent with Trump’s foreign policy efforts to pressure China to do more to tackle the North Korea nuclear threat and to get European allies to pick up more of the tab for NATO. The plan also puts Mexico in a delicate spot. President Enrique Pena Nieto has repeatedly expressed his desire to preserve the North American Free Trade Agreement (NAFTA), which has become a pillar of Mexico’s economy. But he must avoid the appearance of capitulating to Trump, who has enraged the Mexican public with his threats to withdraw from NAFTA and force Mexico to pay for his proposed border wall. Neither Kelly nor the DHS responded to requests for comment. “The prosperity and security of Central America … represent a priority of Mexico’s foreign policy,” the country’s foreign ministry said in a statement. The new-look Alliance will be firmed up in Miami next month, when U.S., Mexican and Central American officials will meet to negotiate various issues, including Mexico’s role, according to a draft U.S. schedule obtained by Reuters. Mexico’s Foreign Minister Luis Videgaray has said publicly Mexico is willing to work with the United States in stabilizing Central America, without giving much detail. In private, though, local officials say cash-strapped Mexico lacks the money to invest significantly in the region – a fact that hasn’t eluded the United States. “We do not have significant expectations of major … financial contributions by the government of Mexico at this time,” Brownfield said. However, he said it was reasonable to expect Mexico to help train Central American officials, and deepen coordination along its southern border. Mexican government agencies could also work more closely with their southern counterparts, he added, citing the example of Colombia, which is training Central America’s police forces at the United States’ behest.